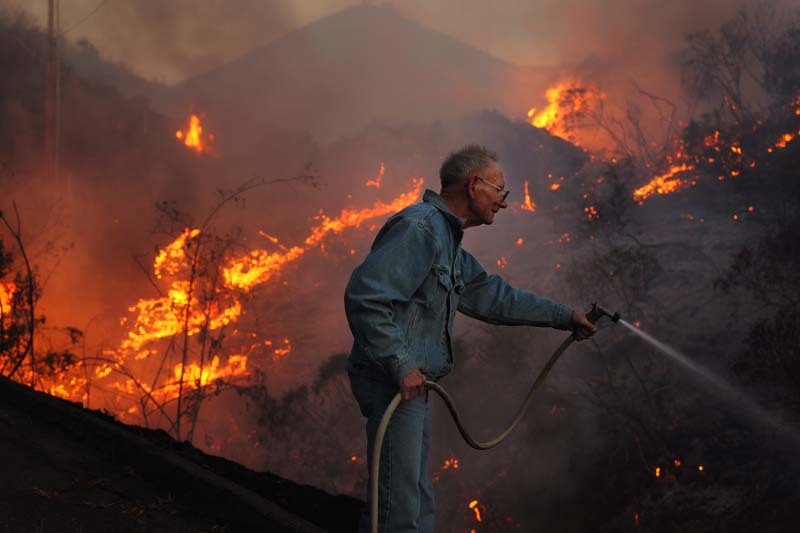 James Harkins, 72, refused to evacuate his home of more than 20 years and used a garden hose to combat the flames racing up the hillside toward his home in San Marcos, Ca. "Let it go up in smoke, " he quipped. "No, no, no. Not without a fight." Harkins welcomed the help of some firefighters who came to aid him. "What about my things, my memories, my things to pass on, he added. "It's mine. If it burns down I don't have a lot left." The ex-Marine was able to save his home while several others around his burned to the ground.